Twin Lens Life ~ Fine Art Film Photography ~ Los Angeles Southern California ~ Bwright Photography: 20/20 Vision! We usually don't divulge who captured what shot, because honestly it's virtually impossible for us to even tell with little difficulty! But at this point in the wedding we happened to be shooting separately without the aid of the other. 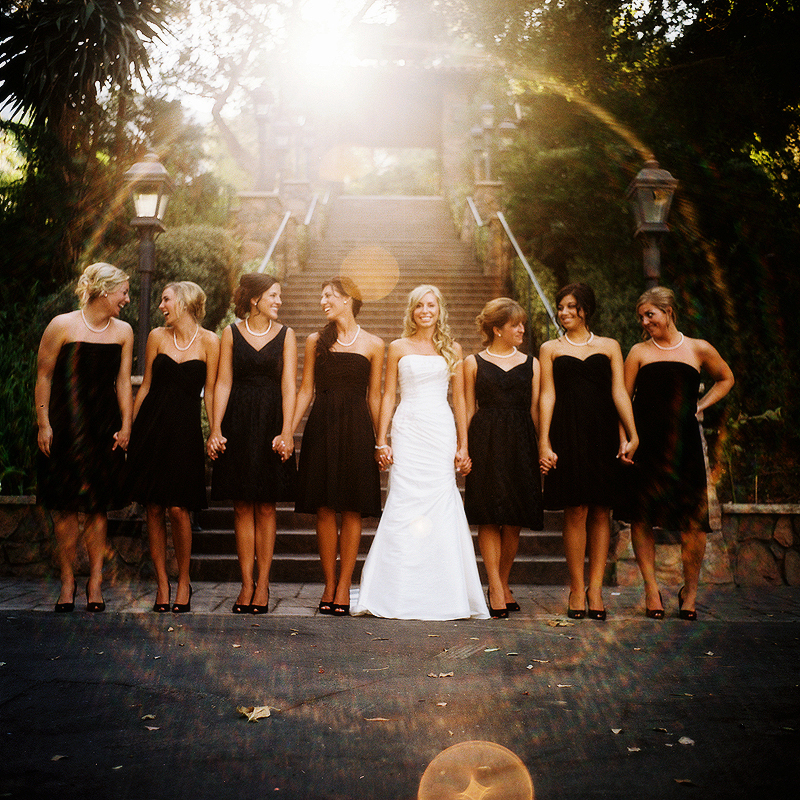 Though we usually do confer with one another on how we will approach much of what we shoot, on this particular occasion we hadn't even discussed shooting this location at Pala Mesa Resort. 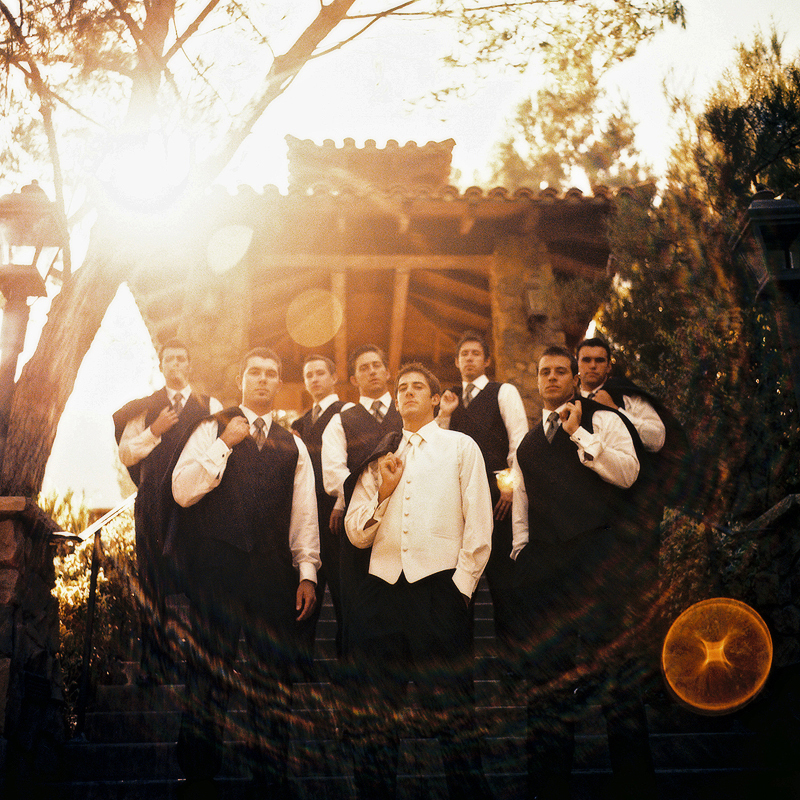 I shot the Groomsmen while Brandon was with the girls getting ready. Then we separated again an hour later (notice the sun has moved) and he shot the Bridesmaids while I was getting some details. Needless to say, I was a bit confused when we processed the film. We even captured identical circular lens flares with our TLRs!